Artemisia is now accepting submissions from playwrights who are represented by an agent or reside in the greater Chicago area to be considered for Fall Festival 2017. The annual fall festival features six emotional, relatable and female-driven plays presented as staged readings from which the audience chooses Artemisia’s world premiere productions. There is no fee to submit and full submission guidelines can be found at artemisiatheatre.org. Submit per the guidelines to Lindsay Tornquist, Literary Manager, at playsubs@artemisiatheatre.org. 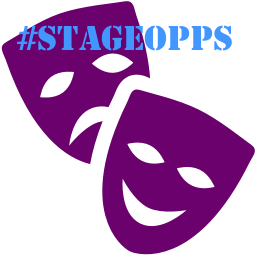 The application deadline has been extended to January 15th for #StageOpps subscribers. Don't forget to email specialoppscode@gmail.com to get the special code for this month's Special Opportunity! Production Dates: Rehearses Nov. 8, 10, 15, 17, & 22 (evenings), Nov. 26 & 27 (afternoon); performs Nov. 28 at Dixon Place in NYC. Production Dates: Contracts run Apr. 24-Nov. 26, 2017 in Staunton, VA and June 19, 2017-June 10, 2018 on tour. Pay: Equity LOA Contract. Non-Equity benefits include salary, housing, health insurance. PS 261, a vibrant, diverse public elementary school located in the Boerum Hill section of Brooklyn, seeks a theater arts professional with extensive experience working with children to direct our annual musical theater production. The Afterschool Musical is a tradition in its 8th year offered as part of our non-profit Afterschool program. of drapery rigging, track automation and the like for our clients in theatre, casinos, cruise ship and theme parks locally and around the world. Eligibility: Minimum 5 years hands-on experience in theatrical rigging and track installation. Technical theatre experience, in either a stage or scene shop environment. Comprehensive and extensive working knowledge of theatrical machinery and hardware. ETCP certification desirable but not required. Excellent verbal and written communication skills. Experience leading crews of 4 or more people. Commitment to high standards for quality and job safety. Strong customer relations and interpersonal skills. Willingness to travel locally, domestically, and internationally.